Service Division | Services | AAA Mechanical Contractors, INC. 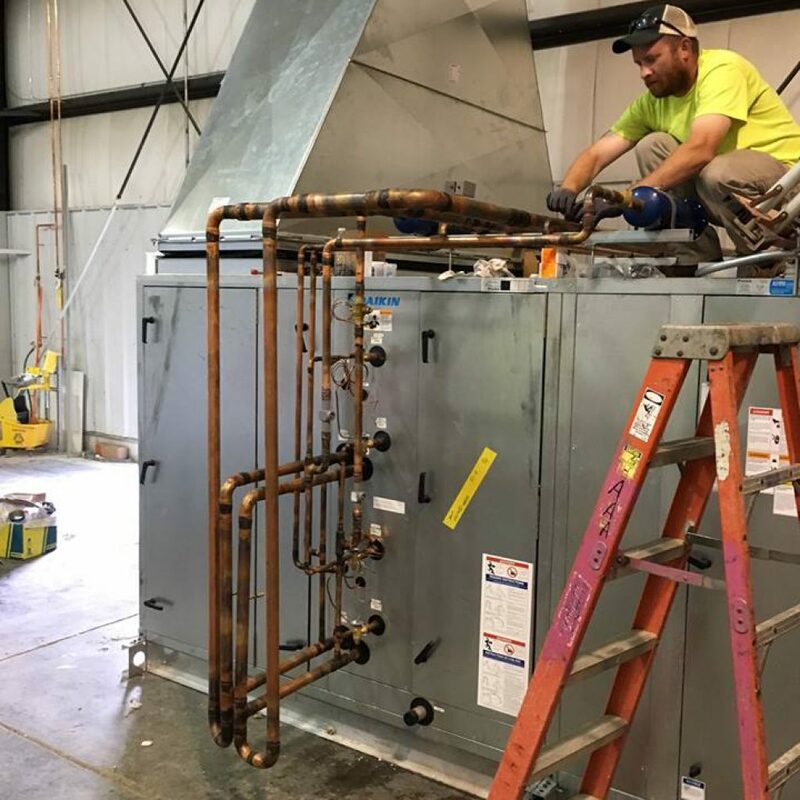 Excellent service and installation, quality products, and highly trained service technicians are what have established AAA Mechanical Contractors as a leader among commercial and industrial plumbing, heating & air conditioning professionals. We service all brands of equipment from small motel through the wall units to the largest commercial and industrial systems. Whether you are in need of plumbing, heating, air conditioning, refrigeration service, or need an entire system replaced, we have factory-trained technicians ready to serve you. Our technicians go through a five-year training program that includes 1,700 – 2,000 hours of on the job training per year, along with 1,000 hours of classroom training over the five-year program. We take pride in our skills and ability to diagnose and correct a client’s problem along with providing high quality products. In order to meet our customer’s needs at any time, we offer Emergency 24 hour support, 7 days a week. Some mechanical failures are unforeseen and our service department is prepared for round the clock service. 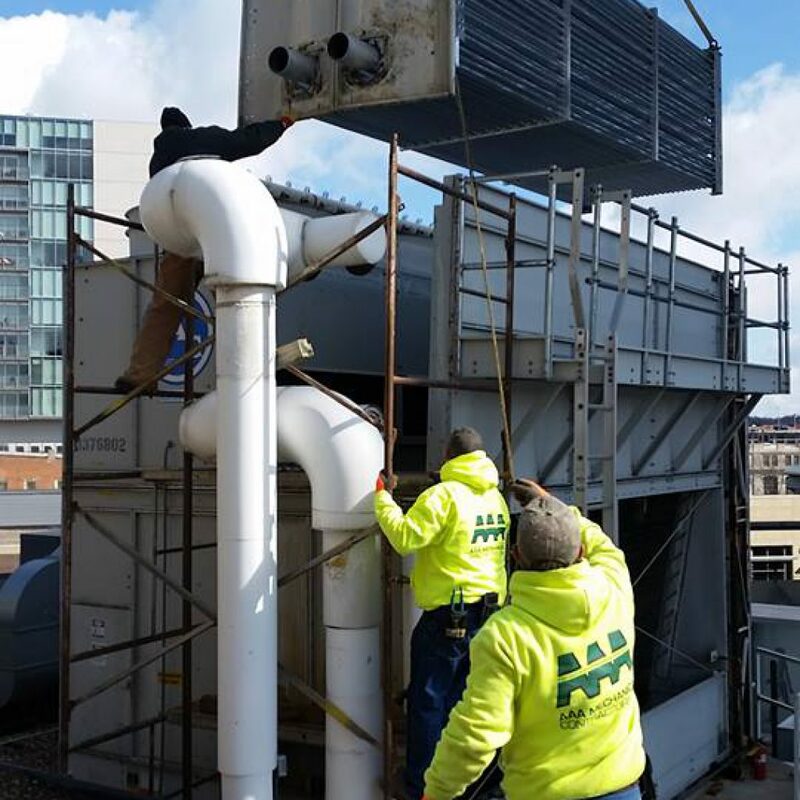 AAA Mechanical Contractors, Inc. Service Division offers preventive maintenance agreements which provide our customers with the comfort in knowing their equipment is regularly serviced and ready for the most extreme weather conditions Iowa has to offer. Preventative maintenance increases performance and efficiency while providing longer life for the equipment. Below are some of the checks, adjustments, and tests performed during preventive maintenance. Our program will be custom tailored to the specific equipment along with your needs to fit your operation. AAA Mechanical Contractors, Inc. will perform the inspection of the Heating and Air Conditioning equipment at the XYZ Company. Test run equipment to check operating controls. Make necessary adjustments for the efficient operation of the equipment. Oil or grease all bearings, including motors, fan and damper bearings. Inspect belts for wear and tension. Adjust or replace if needed. Inspect for leaks that may have occurred on the equipment or piping. Inspect conductors for pitting and wear, tighten electrical connections. Replace filters with pleated high efficiency filters. Fall Service- Check burners for proper operation, adjust if needed. Check safety controls. Spring Service- Check and clean condensers, start and check compressors, check for leaks and proper charge. Check condensate pans, drains, and clean. Check operation set back controls, times, and temperatures. Instruct Owner / Manager of any repairs needed to obtain approval.